British expats living in South Africa, wishing to retire in South Africa – or anywhere else abroad – are able to transfer their UK pension into a QROPS to avoid UK taxation on their pension schemes, find better investment choices more flexibility and less volatility than pensions are constantly exposed to in Britain. QROPS have long been a popular choice with expats, and previously those that held pensions in the UK but lived in the Rainbow Nation, were able to avoid the 45% income tax imposed in South Africa on retirement funds by moving their pension to a QROPS in Hong Kong, however, this all changed with the announcement of both the South African and the British budgets of 2017. The effect for South Africans that have worked and saved in the UK before returning, or indeed moving elsewhere in the world, is that tax will always be payable on foreign income, regardless of where it was accrued. For all British pension holders deciding to retire overseas, a 25% exit tax on all QROPS transfers into a ‘third jurisdiction’ has now been enforced. So unless the scheme selected is in South Africa, pension holders searching for more flexibility, stability, higher returns and less tax are faced with losing an initial 25% of the pension pot upon transfer. South Africa does have a number of QROPS, but the majority are not suitable to accept transfers from British pensions as they are group schemes. 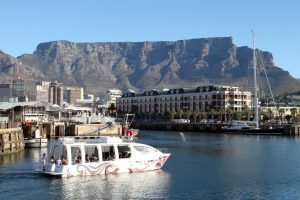 A transfer into South Africa would effectively bypass the 25% exit tax imposed by Britain, but would leave funds exposed to high fees, restrictions and local regulations. Should plans of the individual change, South African pensions do not offer the same flexibility as those in Britain, and would be non-transferrable once placed there. As the rules currently stand, much better value can be found in a Self-Invested Pension Plan (SIPP) under UK jurisdiction. The UK Double Tax Agreement with South Africa states that pensions paid from previous employment should only be taxable in the state in which they live, which means no exit tax from the UK. The SIPP option is currently popular, and is being advised by the majority of financial experts, however each situation is markedly different, and there are a number of options that may be more appropriate regarding South Africa retirement. Hong Kong is still an option, and there is zero tax on pension growth, pension income or upon death. However, the 25% exit tax would still be applied when transferring from the UK into this ‘third party’ jurisdiction. This can still be a good option for those with large pension pots. Other global QROPS jurisdiction are also options, but tax rates vary and Hong Kong is the only of those that offers 0%. While transferring a UK pension into ZAR may seem a good choice on initial consideration, investment options in South African QROPS are severely restricted, and future portability of funds is given up completely. South African tax will also be imposed on all pension income. A UK SIPP is free of tax on income in the UK, but is liable to be taxed anything up to 45% in South Africa. There is also no tax on death before 75, but 45% on death past this age. Depending on the circumstance, there is an appropriate option. And while, for the majority, a SIPP provides the wisest choice, this may not be suitable for everyone.